The next stop in our Extraordinary Getaways series is all about the summer! From the deserts of Santa Fe and the shores of New England to various Hawaiian destinations, browse a collection of amazing homes located within the most popular summer travel destinations for 2018. This exquisite, one-of-a-kind home in La Barbaria Canyon designed by Archaeo Architects and built by Dough McDowell offers a fusion of Japanese and Chinese architecture with environmentally conscious appointments and superb attention to detail, all set upon over 19 acres of majestic pine forest. Visitors flock to Santa Fe for its close proximity to state and national parks, the art that lines Canyon Road, opera and art museums, and more. Island living comes together within the gated Keauhou Estates community in an exceptional, quality-built home that showcases the most desirable combination of indoor-outdoor living on the Big Island! This exquisite Hawaiian lifestyle is complemented by a plethora of activities including beaches and snorkeling, hiking at the Mauna Kea Summit and historic sites along the Royal Footsteps on the Kona coastline. 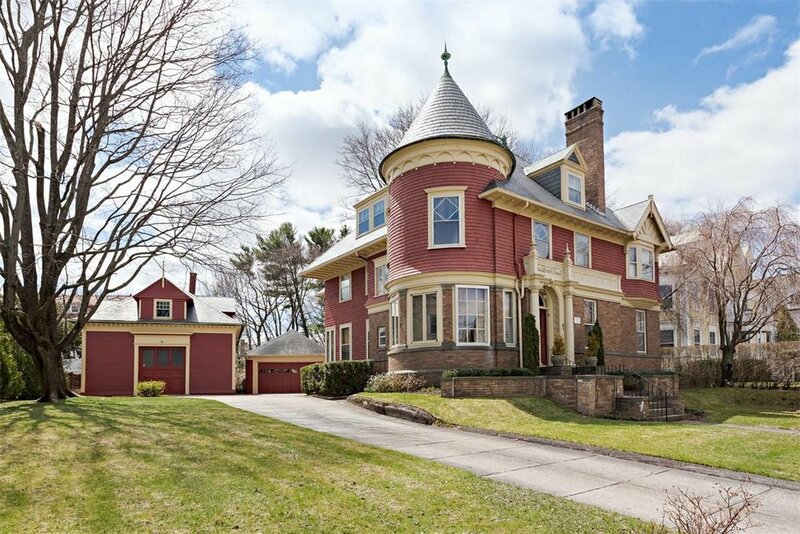 To step through the doors of this Queen Anne Victorian home is to be welcomed into stunning architectural details and streams of light. Beautifully maintained and updated for today’s modern lifestyle, the residence includes a carriage house with endless possibility. A Walk Score of 81 allows for seamless connection to historic New England destinations, parks, wine and distillery tours, and the ever-popular Carousel Village. Situated in nearby Wailuku, this elegant home features views of the ocean, north shore and Haleakala. Invite guests into a large living room with open-beamed ceilings for a casual gathering or down the terraced backyard to an 8-person spa. Take advantage of numerous nearby tourist attractions such as botanical gardens, pineapple and sugar farm tours, helicopter tours and trips to the famed Haleakala volcano. Feel the warm white sands of Meads Bay beneath your feet from a modern home on the best location in the west end of the island. The beach house provides plenty of space for entertaining, with 8 bedrooms and 10 baths to complement extensive and spacious open-planned living areas.